Pull out your blender and make these easy (AND HEALTHY!) 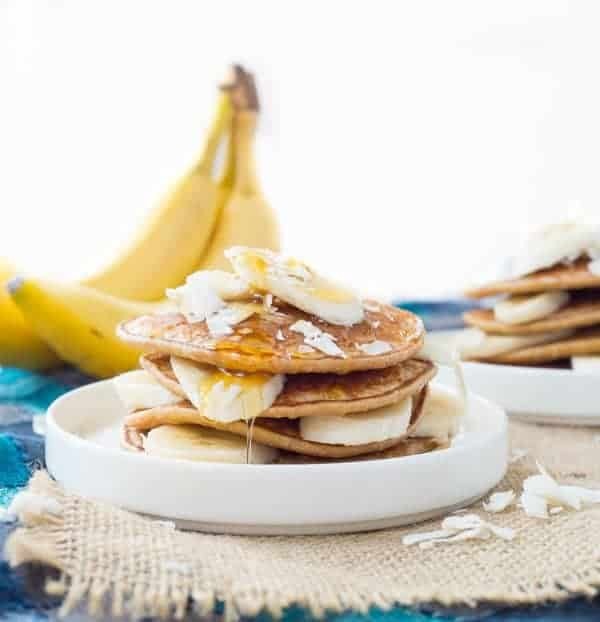 banana coconut blender pancakes. They’re a taste of the tropics! We ate a lot of pancakes in the last couple weeks of living at our house. It could be because we were homebodies, taking the mornings slowly, not in a rush to go anywhere. Or more accurately, not in a hurry to grab a box, a roll of tape, and a sharpie. We slept in, stayed in our pajamas way too long, and ate lots of pancakes. I’d say it was a good way to spend our last few weeks in this house. But just because we had been taking our mornings slowly doesn’t mean I don’t still love easy, uncomplicated recipes. After all, I’m still me, and I still had what seemed like a million boxes to pack. 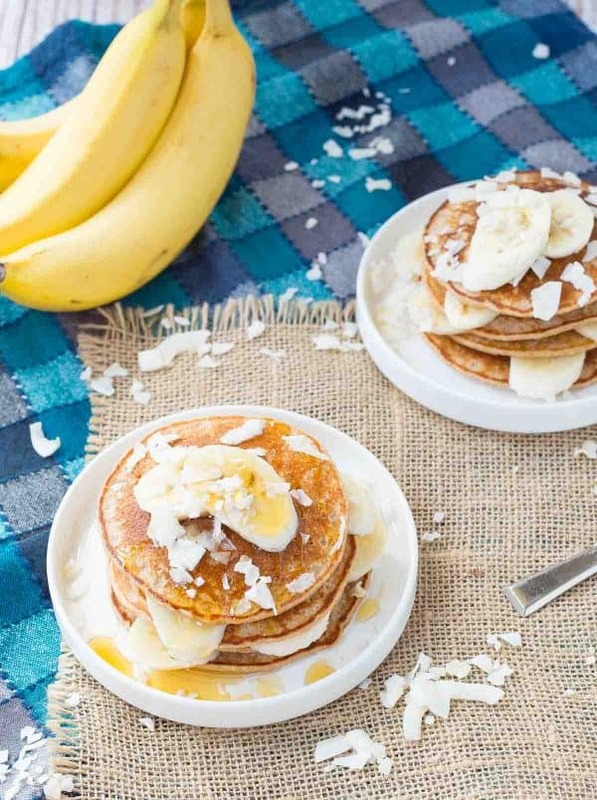 These blender pancakes come together in minutes and the flavor is out of this world. 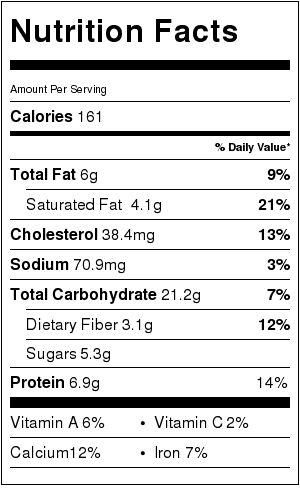 And hey, bonus, they’re healthy! Full of fruit, whole wheat flour, oats, and flavorful coconut. 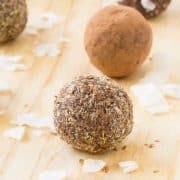 They’re sweetened only with honey and the only oil in them is a bit of coconut oil. I’ve had a love affair with blender pancakes lately – they’re so easy to make and you have a built-in system for pouring onto the pan (straight out of the blender!). If you’re a chocolate fan, don’t miss my chocolate protein pancakes which are also made in the blender. Or my personal favorite flavor of blender pancakes — these lemon poppy seed pancakes with a secret source of protein. They are more on the dense side, so if you like a fluffier pancake, you might want to try one of my other pancake recipes. I actually like a dense, moist, filling pancake. 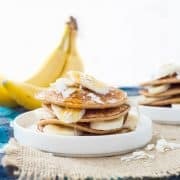 I loved these as pictured with extra coconut, banana and a drizzle of honey, but they’re also great with maple syrup or a dollop of yogurt. Pull our your blender and make these easy (AND HEALTHY!) 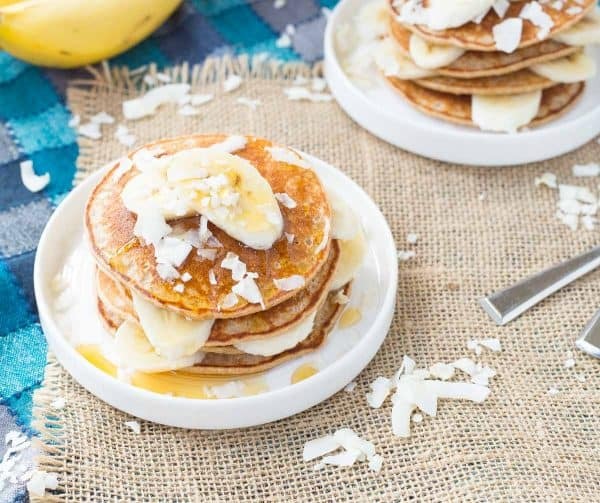 banana coconut blender pancakes. They’re a taste of the tropics! In a blender, combine eggs, banana, yogurt, milk, vanilla, oil, and honey. Blend until smooth. On the top of the wet ingredients pile the flour, oats, baking powder, coconut, and salt. Mix together gently to combine without mixing into wet ingredients. Blend briefly until just combined, scraping down sides as needed. Heat a large skillet over medium heat – grease or spray if needed. Drop batter by about 1/4 cup amounts onto the preheated skillet. Cook for about 1-2 minutes on each side (will depend on the heat of your skillet) or until golden brown and cooked through. Verdict: I absolutely loved these pancakes. 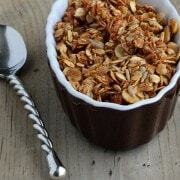 They were filling and flavorful – what more could you want from a breakfast? Husband’s take: These happened while he was gone so he didn’t have the chance to try them. My kids adored them the first time they had them and then the second time they were “a yittle yucky” according to my son. My daughter of course quickly jumped on board with that assessment. Little weirdos. More for me. 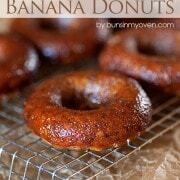 I made these the night before in my kitchen with some leftover bananas in my fridge. They turned out great and very sweet. Thanks for the recipe!